Suzanne’s Medicare, Primary Health Provider Challenge……. Last week was a whooper of opportunity to look again at how I make decisions regarding my well-being. Truthfully I was rocked by the knowledge gained that when dealing with Western Modality Medicine, “I could say NO to their prescription, menu, mandates ie. Colonoscopy, breast cancer exam, blood screening. I was recreating a possibility that with ownership of my own well-being and choices for remedy, I could still fit into Western Medical Health System. In 1974, after a year of being a guinea pig for an Endocrinologist quest to diagnose the growth in my Pituitary Gland, the last option, the straw that broke the camel’s back, was exploratory surgery into my brain. Back then every hair on my body stood on end and a steeped inner wisdom shouted NO, NO WAY, don’t do it. I walked out of the doctor’s office, I walked out of Western Modality for healing and I stepped out of mainstream society, returning to the land. It took me ten years living close to the Mother Earth, receiving administering from Native American Medicine People, Oriental five elements with acupuncture, acupressure and hands on healing and homeopathic, naturopathic Unbinding treatments and cleansing to heal. Forty years later and life career and devotion to wholistic healing and Self Health Advocacy colliding with Medicare and Supplemental insurance. Forty years where I have been my main physician. Forty years outside Western system. Thirty years of paying for my own health insurance that I never once received assistance. One of the rules to fit and qualify for Medicare Insurance (which I still pay for) is I needed a Primary Physician who was in their system. I procrastinated until this past summer when injuries I sustained from a horrific car accident flared up and I was challenged to keep walking. I had to take action and before choosing a knee replacement, I consulted with an Orthopedic Chiropractor for another opinion. This was in June and my first touch-in with Medicare Health Insurance. An immediate reflection of my history with Insurance Providers, I wasn’t in their system. Somehow my forms fell through the cracks. In time, this was corrected. Oh if time were money, I’d have a lot for the amount of time on the phone waiting and searching for a live person to work with me. It took me awhile to find a doctor in their system, one still taking Medicare patients. I finally found one but it took three months to get on her calendar. Last week I crossed the threshold but only after extreme anxiety. I teased that it felt like being called to the Principal’s Office, a disciplinary reprimand. I saw that my wiring connected my huge karmic relationship with my father and the Principal’s office, as he was the authority figure who yielded fierce discipline. I can see the wooden paddle threatening to teach me a lesson. I can hear the degradation of my self-worth, my sense of self. It was my father who has been the predator energy my whole lifetime/s. A karmic script where he cursed me and vowed to take me down. Good, bad…right, wrong. Recognizing that my POST TRAUMATIC STRESS DISORDER was triggered, I meditated, took homeopathic, consulted with my son and close friends and practiced responding to the questions I knew would be coming. Question authority came into my consciousness as a result of the Viet Nam error during the sixties and early seventies. Just like during the Civil War period, families were shredded, the very fibers of individual integrity, code of ethics, basic human rights went the way of an old tree struck by lightning….splintered no form. In addition to the Viet Nam Scam, there were the rights of minorities…blacks, women, children, First People,…the toxic harming by Nuclear proliferation, Japanese resettlement inequities, shuttle to the moon, killing of the people’s heroes. I wanted to share that my experience with the Doctor with Internal Medicine, was exactly what I prayed for. Jiminy, even leaving on time, confident that I knew where 300 E. Jefferson would be. I proceeded to W. Jefferson, parked and walked and could not find her location. Turning around and going East there it was on the corner with the stop lights by Lukes. Got there late and was very aware of their clockwork system. Starting with the receptionist, computer entry person the questions started coming. Are you Hispanic, Native American, Caucasian…I responded Human Being. Then what was my religious orientation. 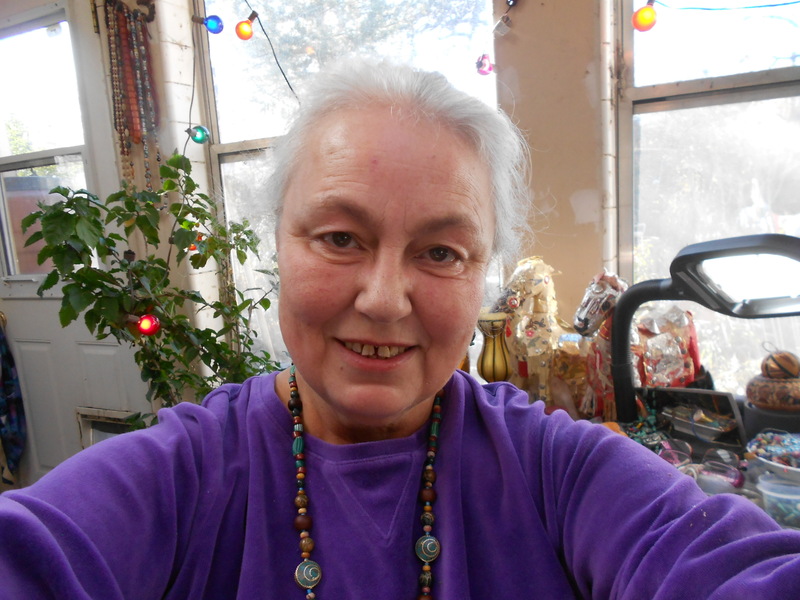 Prickling, I said Natural Spiritualist….oh wait the entry person trying to find the right code….next to my work, Spiritual Healer and Writer…wait let me see if I can figure that coding. Thus I slowed the line even longer. The purple haired nurse of Doctor, waiting patiently to get me to the exam room in the back. First I had to be weighed and then my height measured. I was floored I have gotten shorter….only 5’9″ instead of 5’10 . Once inside the exam room, she continued to fill out the Medicare standard questionnaire. Seeing as I didn’t have entries to many of their wonderings…she shrugged and said I like alternative methods. When Doctor walked in I was so surprised to see a Downton Abby look alike for the Grand Matriarch actress. With her first introduction I was delighted to hear her thick English accent. For the third time I would be questioned about Breast Cancer exam, colonoscopy, flu shoot, shingles shot….I kept my answers pretty simple. No, no thanks. I did get an updated Pneumonia inoculation. With my health stand we did agree to get a thorough POST form for her office and any future hospital related medical needs. I liked her and towards the end I got to see her become a little personal allowing the deeply grooved laugh lines of her face to come forth as I shared stories of Latte Girl, the Scottish terrior, the medicine helper. She closed with I’ll see you in a year.